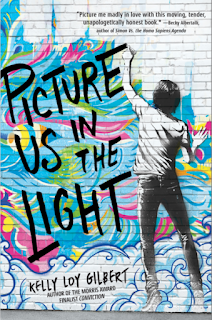 While many novelists refer to their latest works as “the book of my heart,” in the case of young adult author Kelly Loy Gilbert’s finely crafted, humanistic new effort Picture Us In the Light, that description is entirely justified. 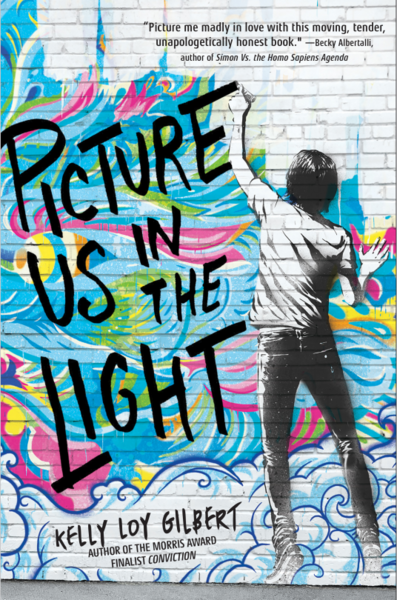 Sensitively penned within the immediately convincing first person point-of-view of our main character, high school senior and aspiring artist Danny Cheng, the author pulls us into Picture’s picturesque world within the very first chapter. 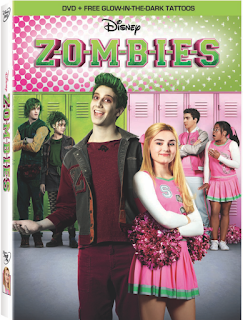 After stumbling upon a mysterious box of his father's and going through it with gusto, Danny begins to wonder just how much his loving but secretive parents have been keeping from him. Unable to come of age until he can come to terms with unexplained gaps and tragedies in his past, he enlists the help of his two best friends - only to discover that he can’t examine the lives of those closest to him without doing the same himself. 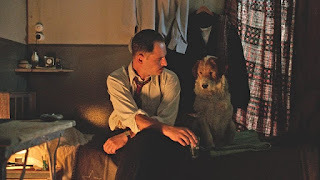 Balancing wry observations and deft characterizations with heavy subject matter, Loy Gilbert foreshadows big twists to come as we move further into the novel. And although it begins with a steady climb, Picture slows down just long enough to ensure that we feel as connected to the characters as they are to each other. Now sure she’s got you, the author returns to full speed - moving like a bullet train from roughly the hundred page mark all the way through to its bittersweet but very satisfying final chapter. 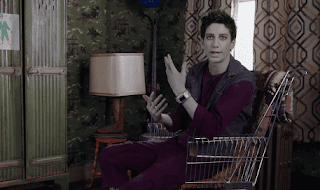 Written during the tumultuous 2016 election and revised afterward, Loy Gilbert is right on YouTube when she acknowledges the vital role that stories play in this post election world where “facts don't matter,” due to fiction’s empathetic ability to introduce us to people, places, and plights we might not encounter otherwise. Filled with so much internal and external dramatic mystery that in less gifted hands, Picture could’ve easily resulted in a messy collision of conflicts, although there are a few revelations about both the plot and our protagonist that we’re able to deduce long before he does, the author wraps things up artfully. Dropping hints and red herrings into sentences and passages so gorgeous that I found myself making multiple notes throughout, Kelly Loy Gilbert never once lets us feel as though she’s taking a shortcut on her way to the book’s resolution. Relatively new to twenty-first century post-Harry Potter young adult fiction, if I had not received this stunning Picture through Bookish First, I would’ve completely missed what’s since become one of the best novels I’ve read so far this year. To put it another way, it’s a book of the heart indeed. 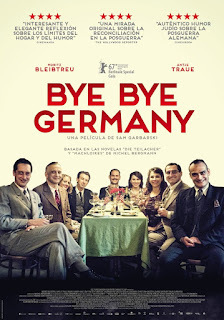 A film about storytelling and all the ways that fact and fiction have the ability to mingle together for justification, in jest, or just to help us all get by, Bye Bye Germany zeroes in on a group of German Jews at a 1946 US Displaced Persons Camp in Frankfurt. 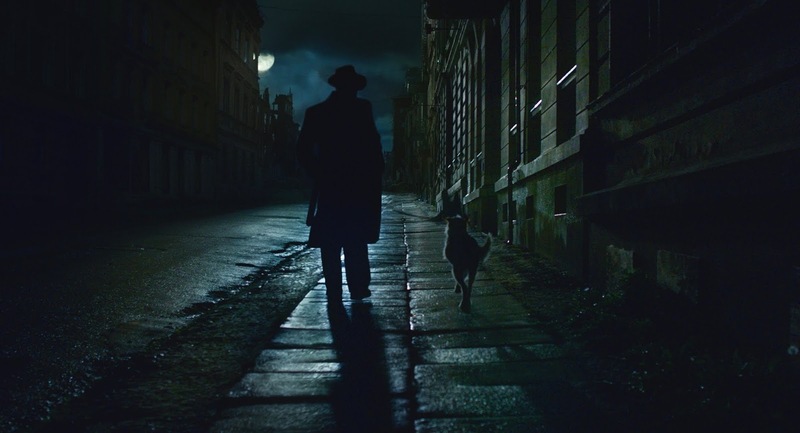 Much like the deliberate, rock-a-bye gait of the three-legged dog Motek – who seems to serve both as a motif and the first image we see – Germany's characters can't move fast enough to outrun the past. 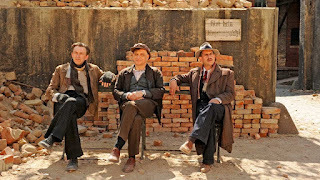 Haunted by the horrors of the war with each step forward that they take, the film's main characters are eager to do whatever they can to get the hell out of not only the displaced persons camp but Germany in general. And hoping to get his papers in order and save for his new life in America like his friends and neighbors, David Bermann (Run Lola Run's Moritz Bleibtreu) is stopped by US Army investigator Sara Simon (Man of Steel's Antje Traue) after she notices a number of irregularities in government documents concerning how frequently his name appears in SS files. Joking that he was “always on time” to the concentration camp as one reason why, David quickly realizes that he can't joke his way out of this one. Determined to clear up any misconceptions that he was working against his own people as some sort of Nazi collaborator, David sits for a series of private interrogations with the attractive American official – spinning a colorful web that Sara Simon as well as the viewer aren't quite sure we can fully accept, no matter how beautifully entertaining it is. Wildly charismatic, quick-witted, and a natural leader, while we don't want to believe the worst about Bleibtreu's David during the war, our familiarity with David after the war peddling linens to Germans along with a small group of friends he'd recruited in order to (at least) double their savings for the new world make us question his sincerity right from the start. 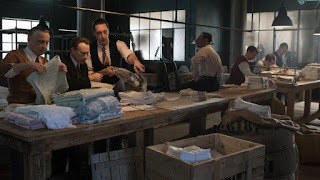 Relying on small time Paper Moon style cons to move as much linen as possible by telling each customer what they want to hear, soon enough David finds himself working overtime to keep his secrets hidden in order to prevent his friends from finding out about the investigation and vice versa. 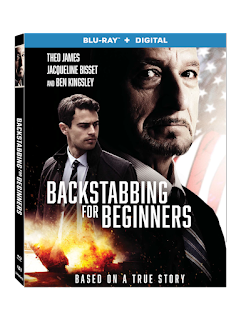 David's plight becomes twice as dangerous when he gets involved in a revenge mission much riskier than just going after German citizens' wallets after he and the guys encounter a suspected SS officer hiding in plain sight. 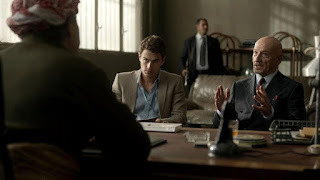 Utilizing a powerful change of scenery to disrupt the static nature of flashback interrogations as David decides to show Sara an important piece of his past firsthand, Garbarski and Bergmann know precisely how much information to dole out to viewers and when. One of the strongest Film Movement releases in recent memory along with In Between, this touching, surprisingly funny, and exceptionally humanistic feature is sure to appeal to fans of the Oscar winning foreign film, The Counterfeiters. 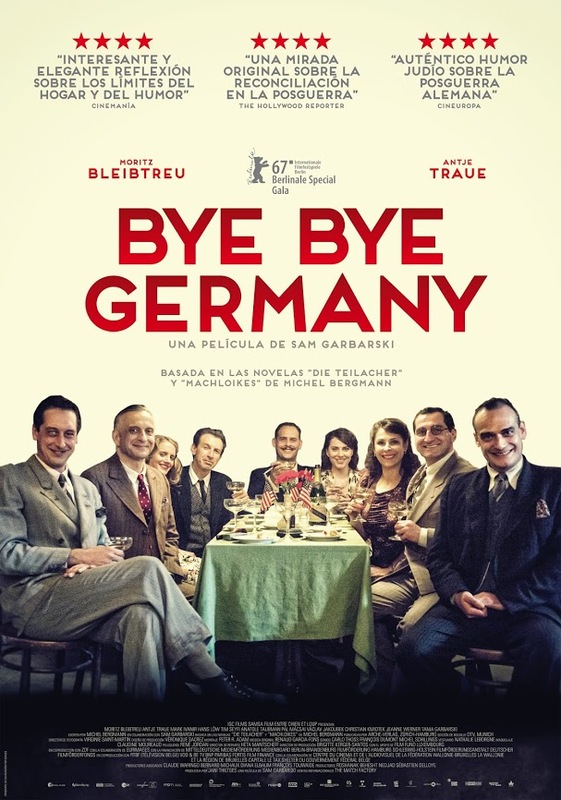 Effectively playing upon multiple emotions – sometimes numerous times within the same scene – Bye Bye Germany uses everything from clever motifs to gentle, compassionate humor to break through its moments of tragedy. 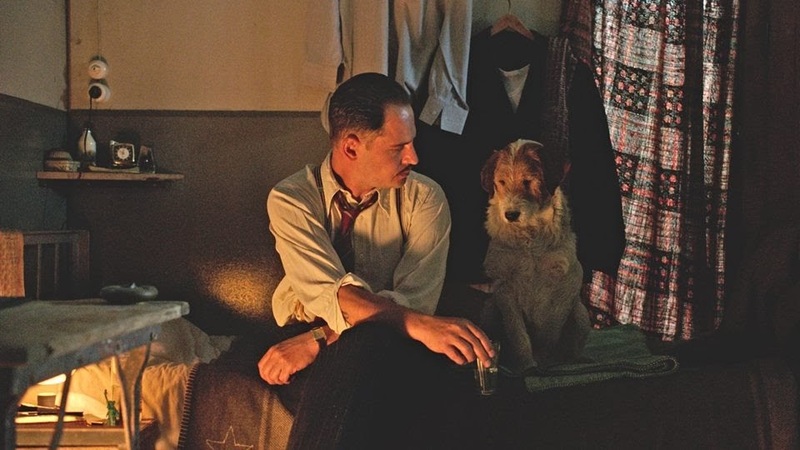 Whether Germany moves back or forth to make a verbal point in jest or a symbolic one just to get by, Garbarski’s thesis on the important role that stories play in our lives is more than justified. 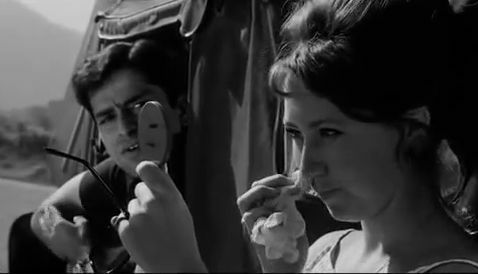 Although initially intended to serve as a metaphor for the disappearance of western (or more specifically) British culture from India in the mid twentieth century, 1965's understated Merchant Ivory offering Shakespeare Wallah has become even more thematically significant today on a global scale, considering the rate at which the arts are vanishing more than fifty years later in the twenty-first. Of course, that's not to say that the work itself is overly heavy. 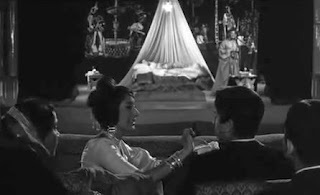 Created at the intersection of fact and fiction, this lush yet free flowing collision of art and life was born when the diaries of traveling theatre troupe head Geoffrey Kendal provided James Ivory with the authentic perspective that he and co-writer Ruth Prawer Jhabvala needed to get Ivory's idea for an story about Shakespearean actors in India off and running. 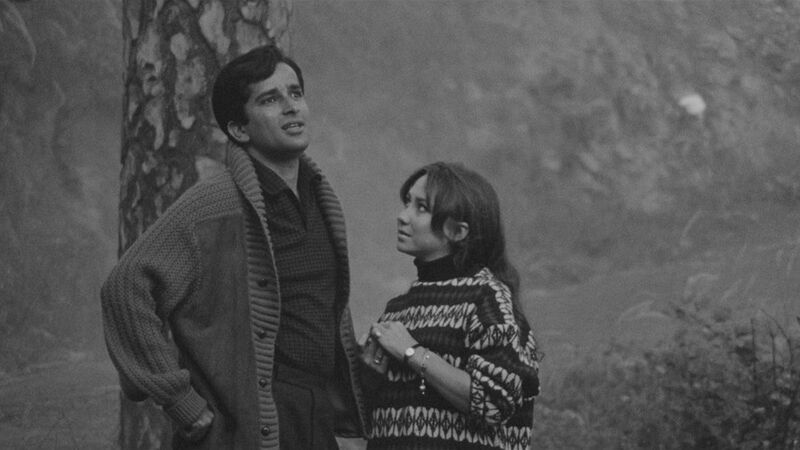 The second Merchant Ivory production after The Householder, Shakespeare Wallah was also the second of nine works to star their Householder lead, popular Bollywood actor Shashi Kapoor. 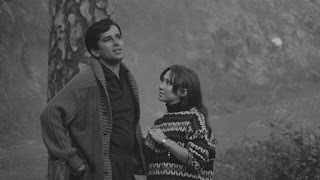 In an against-type role as one third of the film's love triangle Kapoor's local Indian man Sanju finds himself caught between the guileless and naturally gifted, Indian born British stage actress Lizzie Buckingham (played by Kapoor's real life sister-in-law Felicity Kendal) and Madhur Jaffrey's glamorous, vain, and self-involved rising Bollywood star, Manjula. 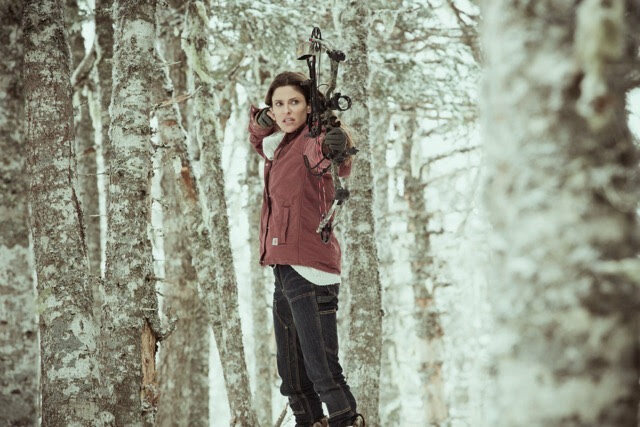 A crowd favorite, for her turn Jaffrey garnered a well-deserved Best Actress award from the Berlin Film Festival. And further foreshadowing Merchant Ivory's future strength in attracting marvelous talent, as the daughter of director James Ivory's offscreen turned onscreen source Geoffrey Kendal (who stars in the picture alongside his wife, daughters, and son-in-law), Felicity Kendal does a marvelous job serving as the production's Shakespearean muse. While unfortunately her parents were unhappy with the metaphorical direction the film took because it was in stark contrast to their experiences traveling through India in the late 1940s, teenage actress Felicity Kendal was better able to differentiate between the offscreen reality of their memories and the onscreen drama of the film, given her largely secondhand knowledge of the events that had occurred nearly twenty years earlier. Keeping things light and playful as much with a look as she does with the film's subtle – at times perfunctory – dialogue, which builds in waves for the moments it reaches a dramatic fever pitch, Kendal gives a performance that's doubly impressive when you consider both her status as a newcomer as well as someone juggling such complex family loyalty dynamics on both sides of the lens. Given a budget low enough to necessitate that the film be shot in black-and-white, Wallah wound up benefiting from what most would consider a financial misfortune. Not only did the lack of funds inspire additional creativity but it also ensured that the behind-the-scenes movie magic used to generate some of the film’s most sumptuous sequences (such as the bright yellow smoke bombs needed to produce scenic romantic mist) would stay marvelously hidden from view. Paying off beautifully, in this exquisite 2k digital restoration of Wallah made from the George Eastman Museum archive’s 35mm composite fine grain master, our senses are dazzled from start to finish. And while I’m obviously glad that the yellow smoke was kept out of sight, as a movie geek nearly blind from years of subtitle/closed captioning overload, I do wish some of the yellow color had stuck around to be used in place Wallah's small white font. All too frequently the words vanish into the white background similar to the way that theater audiences vanished from the Buckingham's performances in favor of Bollywood movies throughout the course of the film. 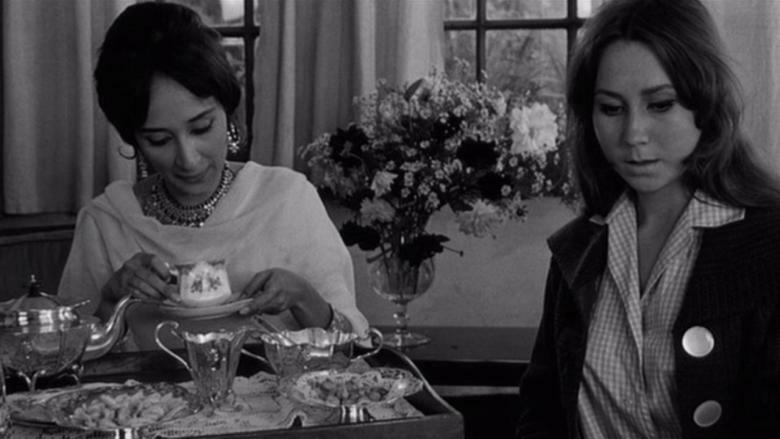 Nonetheless, from its instantly charming opening credit sequence to Satyajit Ray's affecting score, the film – which amazingly failed to find an American distributor in its initial release – went on to set the stage for the dozens of Merchant Ivory productions that would follow. And devotees of their movies are sure to appreciate the fact this new high definition restoration has arrived on disc just after James Ivory took home his first screenwriting Oscar for Call Me By Your Name after a lifetime of marvelous work. Offering arthouse fans much in which to delight, the Cohen Film Collection Blu-ray includes two informative essays as well as a handful of special features salvaged from the title's earlier Criterion Collection release, which gives you the opportunity to hear the filmmakers breakdown their work in every stage. 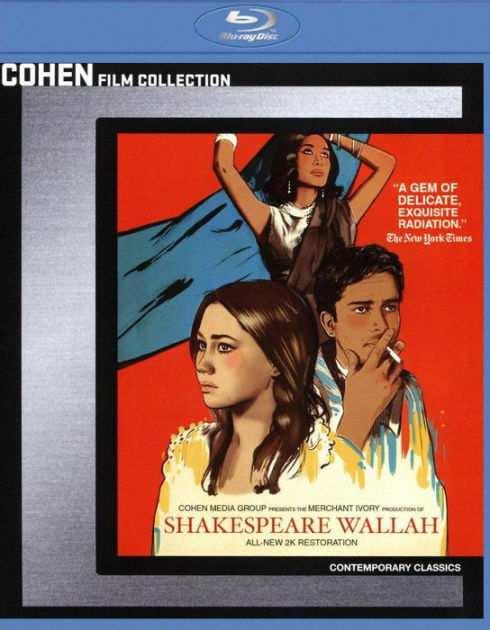 Unlike other Shakespearean referential titles (including the lovely '98 Oscar winning Best Picture Shakespeare in Love as well as any number of terrific adaptations), Shakespeare Wallah does much more than romantically celebrate Bard. 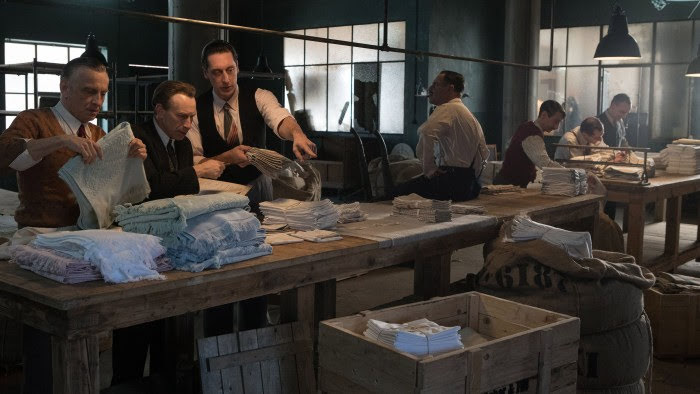 Thanks to the film's stellar cast and crew as well as its use of art and cultural metaphor in building its own narrative through-line steeped in authenticity, Merchant Ivory's Wallah has grown that much more topical with each passing year. 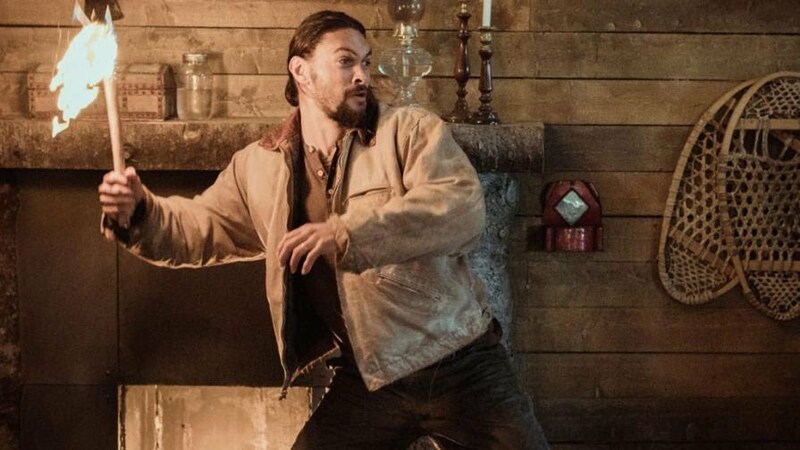 Produced by and starring the charismatic Jason Momoa in a tailor made role that plays directly to his strengths, this solid, above average direct-to-disc and digital B-movie variation of Cliffhanger marks the feature filmmaking debut of veteran stuntman and coordinator turned TV helmer, Lin Oeding. 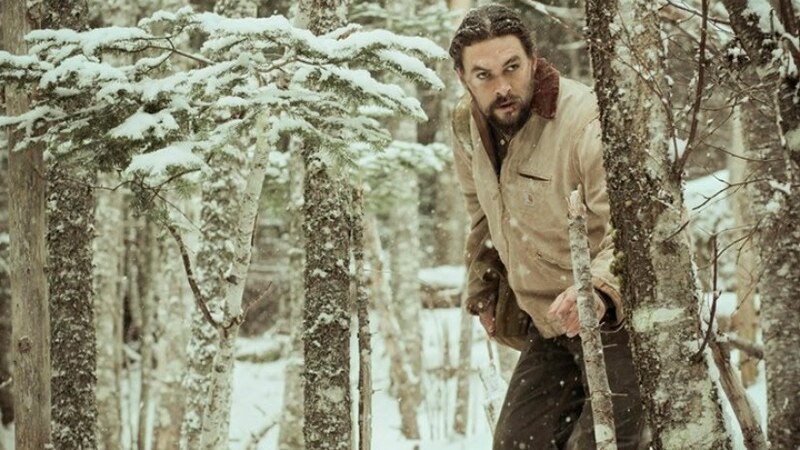 Opening with some stunning wintry shots of the pacific northwest care of cinematographer and co-producer Brian Andrew Mendoza, it isn't too long before Braven's color palette changes from snow white to blood red when the family cabin of Momoa's titular logger Joe Braven is descended upon by heroin smugglers, led by the loose cannon Kassen (well played by Justified and Raising Hope actor Garret Dillahunt). Making the most of what he has with which to work, Oeding and his stunt coordinator Robert Alonzo execute some truly inventive and – in at least one instance involving a bear trap – entertainingly convoluted fight sequences as Joe and his mentally declining yet still badass father, Linden (Don't Breathe's Stephen Lang) try to outwit and out man Dillahunt's band of hired guns. 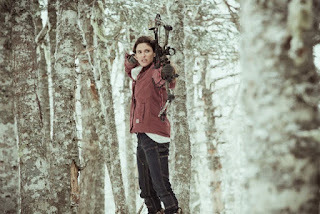 Straining incredulity at times – albeit right in line with the genre – one way that Braven sets itself apart is by giving us an under-utilized yet nonetheless refreshing female heroine in the form of Stephanie (Teen Wolf star Jill Wagner), Joe’s bow-and-arrow wielding wife who is so tough that although she initially heads up to the cabin to retrieve her young daughter and backup Joe, by the time the police reach the shootout, they actually follow her lead through the snowy woods. Okay, okay, so while the rational side of me gets that it was a tiny logistical error to place the armed authorities behind a woman and child, it’s still a fun little girl power flavored gaffe all the same. 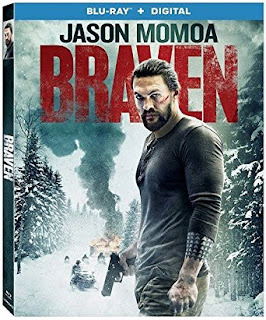 A predictable yet impressively well made actioner ideally suited for a Saturday evening double feature, Braven gets around the shortcomings of its familiar storyline thanks to a talented cast and exceptional crew, led by Momoa and Oeding. 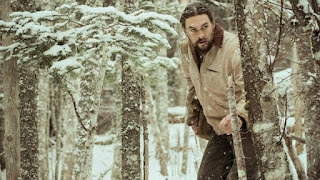 Bolstered by its demo reel worthy professional polish and creative action choreography, although Braven doesn't break the mold of similar late ‘80s/early ‘90s fare, for its roughly ninety minute running time\ it holds our interest with the same ease that Momoa holds an axe. Text ©2018, Film Intuition, LLC; All Rights Reserved. 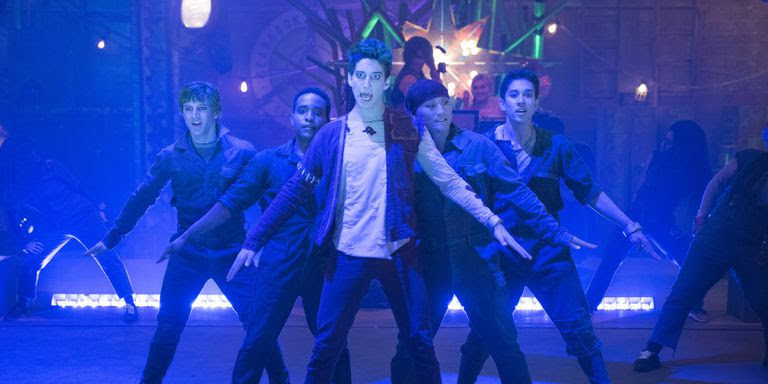 http://www.filmintuition.com Unauthorized Reproduction or Publication Elsewhere is Strictly Prohibited and in violation of the Digital Millennium Copyright Act. FTC Disclosure: Per standard professional practice, I may have received a review copy of this title in order to voluntarily decide to evaluate it for my readers, which had no impact whatsoever on whether or not it received a favorable or unfavorable critique.